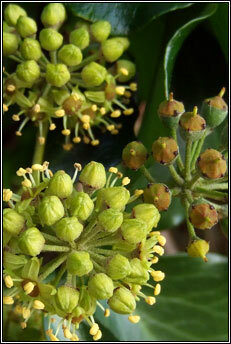 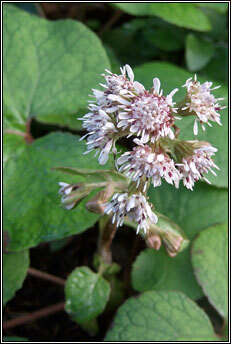 Some wildflowers in December can be seen by following this link. 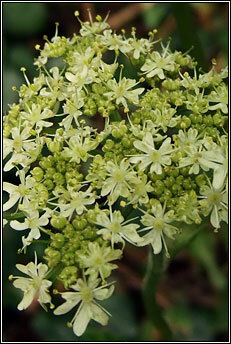 Below: Ivy, early flowering Three-cornered Garlic and Hogweed. 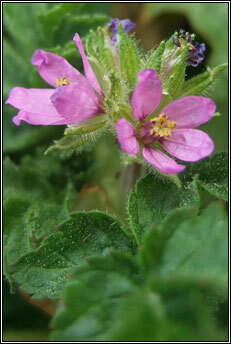 More wildflowers in November can be seen by following this link. 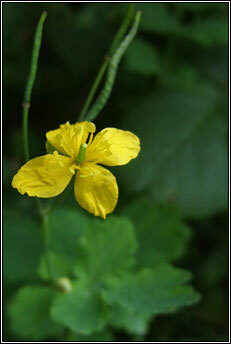 Below: Greater Celandine, the tiny flowers of Mudwort and Himalayan Balsam. 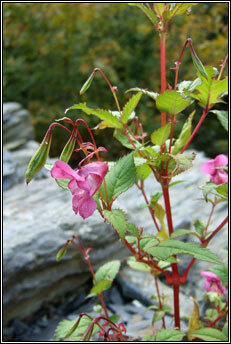 More wildflowers in October can be seen by following this link. 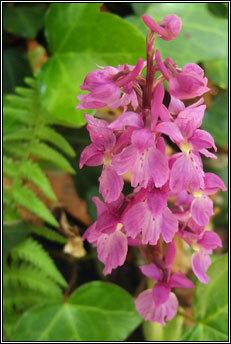 More wildflowers in September can be seen by following this link. 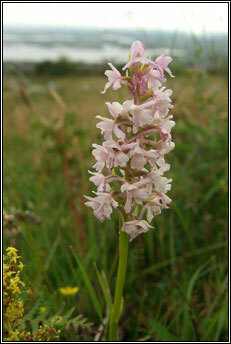 More wildflowers in August can be seen by following this link. 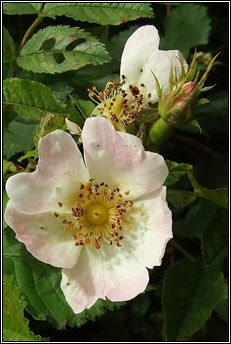 Below: Short-styled Field-rose, Birds-nest Orchid and Sherards Downy-rose. 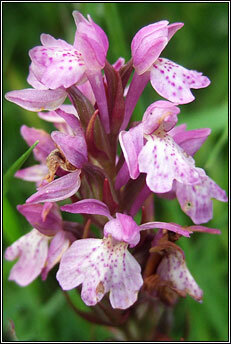 More wildflowers in July can be seen by following this link. 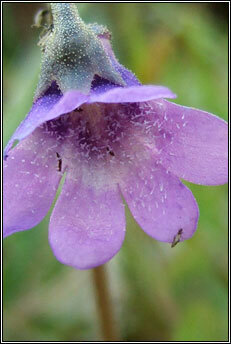 More wildflowers in June can be seen by following this link. 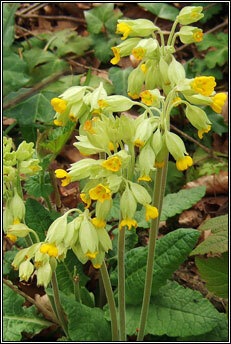 Below: Lords-and-ladies, Toothwort and Cowslips. 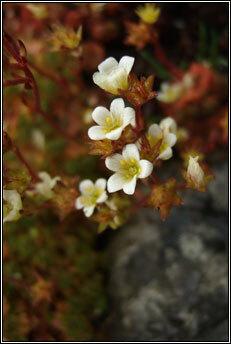 More wildflowers in May can be seen by following this link. 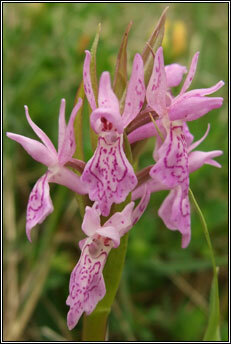 April 2008: Sea Storks-bill, Field Pansy and Green-winged Orchid. 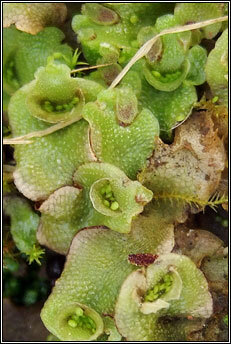 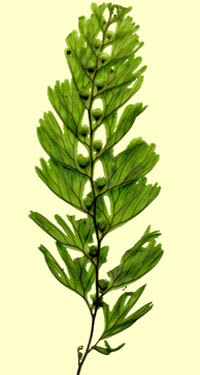 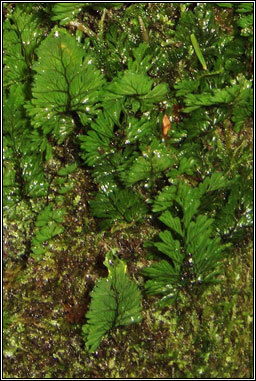 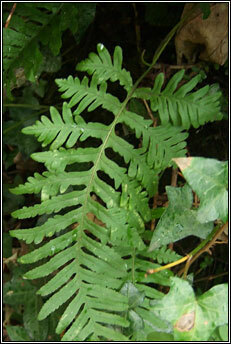 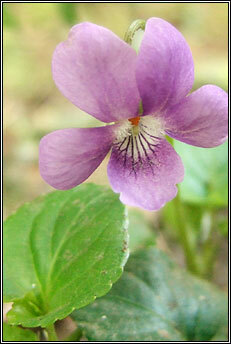 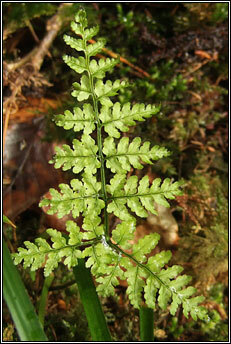 Below: Common Dog-violet, a young frond of Hay-scented Buckler Fern and Wood Sorrel. 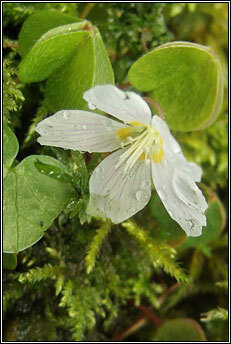 More wildflowers in April can be seen by following this link. 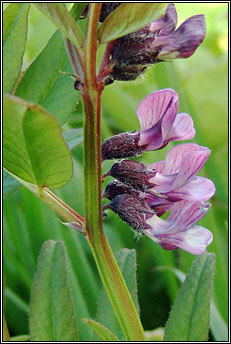 Below: Bush Vetch, Ivy-leaved Speedwell (ssp.hederifolia) and the distinctive seedpods of Crested Field-speedwell. 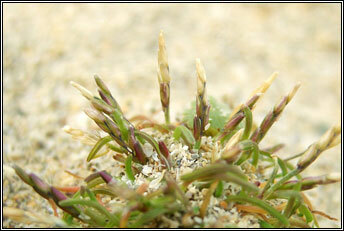 Two from Barley Cove, Co.Cork - the nationally rare Early Sand-grass, and the seedpods of Whitlow-grass. 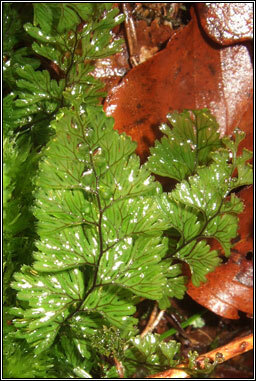 Both plants were about 2.5cm. 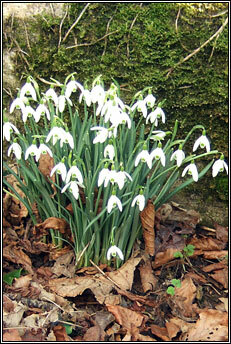 tall and would have been very easy to miss! 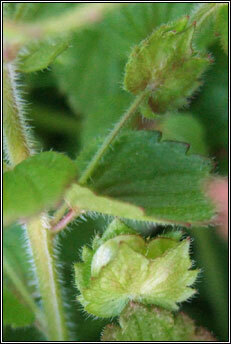 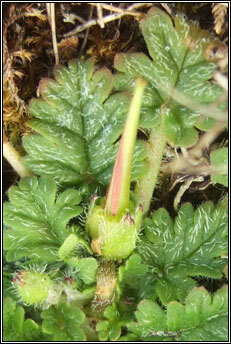 Below: A very early-flowering Musk Storksbill and the similar flowers of Butterbur and Winter Heliotrope. 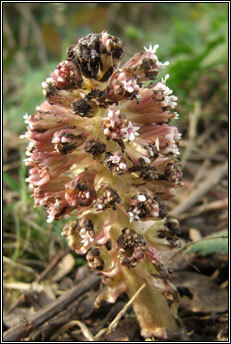 These two can be confused, but Butterbur produces its flowers before the leaves start to show. 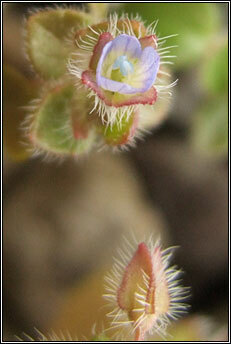 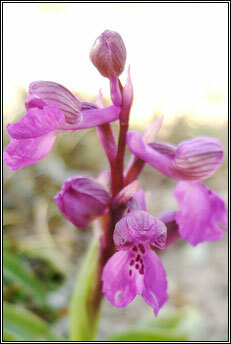 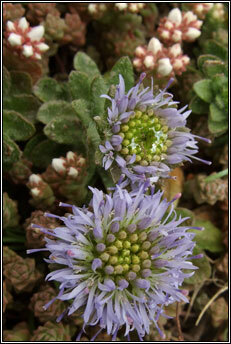 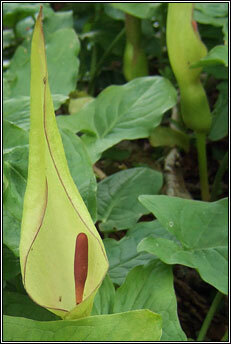 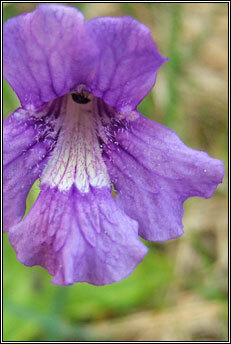 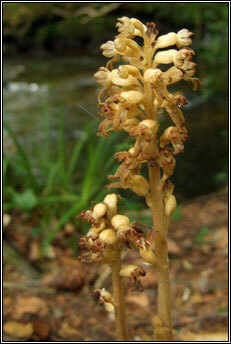 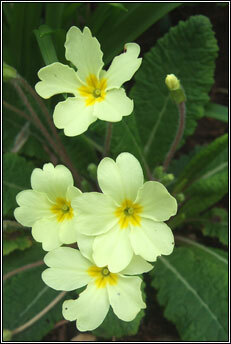 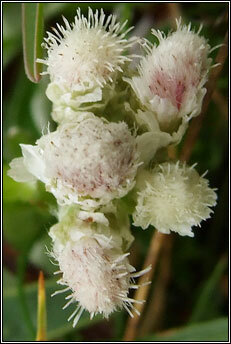 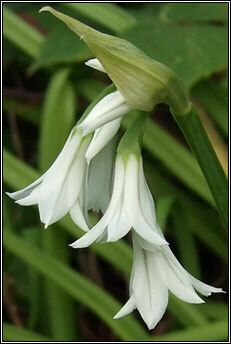 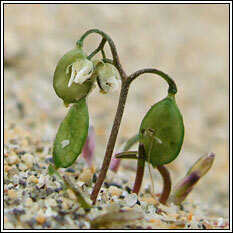 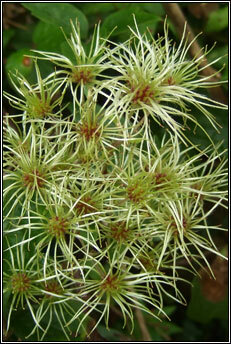 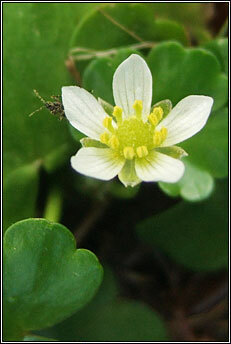 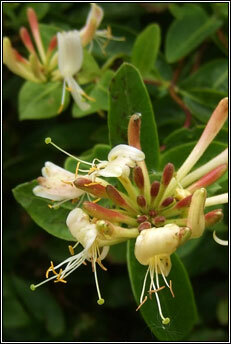 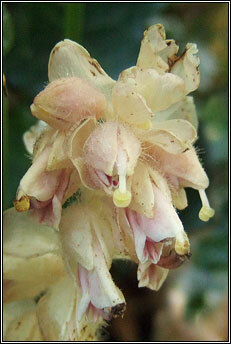 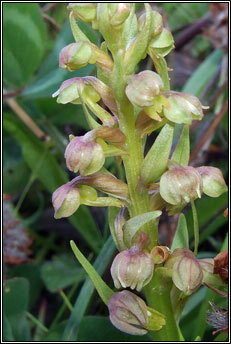 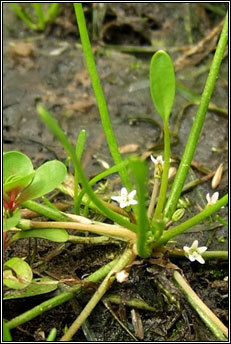 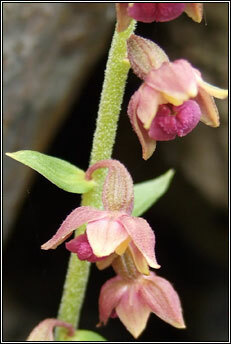 More wildflowers in March can be seen by following this link. 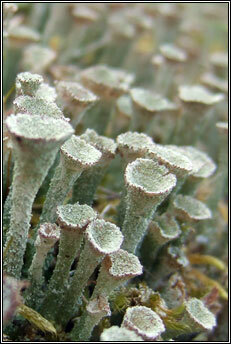 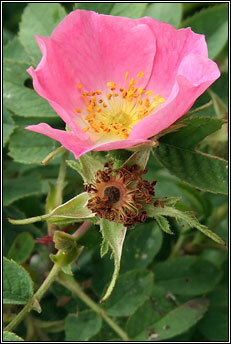 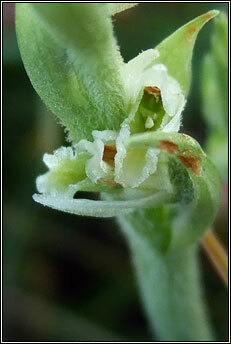 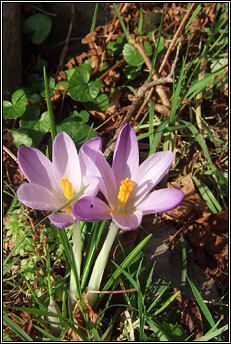 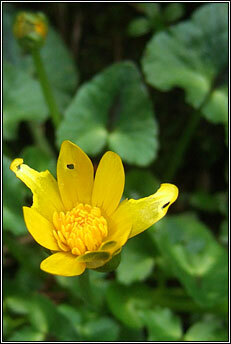 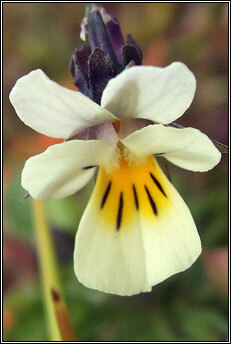 More wildflowers in February can be seen by following this link. 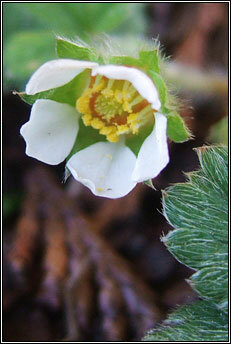 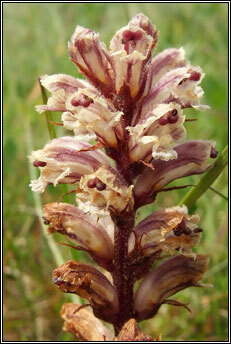 More wildflowers in January can be seen by following this link.